Santa Gilla lagoon is located on the south west coast of the island, in the territories of Cagliari, Elmas, Assemini and Capoterra. This natural site of extraordinary value covers an area of 15,000 hectares, as far as the estuary of Fluminimannu and Cixerri. 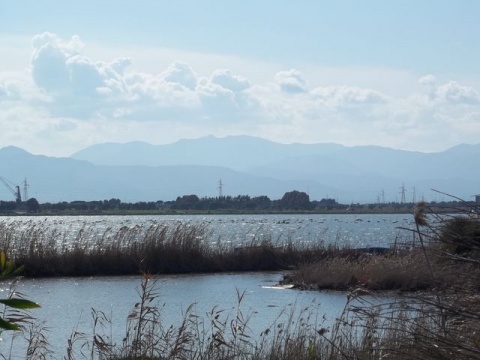 The importance of this area, where stood the ancient stronghold of the Judicial city of Santa Igia, is not only historical, but also environmental; infact for its natural resources this Lagoon and its ecosystem, represents one of the most interesting wetlands in the European Union. In this area of great naturalistic interest, live also many species of birds, some of them extremely rare, such as pink flamingos, cormorants, herons, who have made the lagoon their natural habitat and their favourite place to breed. Along the way there are some locations where bird watchers can see about 70 kinds of birds and explore the area without disturbing them.